Stella Ndukwe, MD, is a family medicine physician treating patients 6 months of age and older. 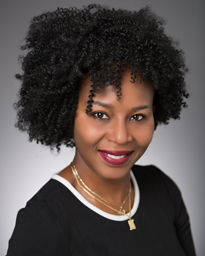 After completing her Bachelor of Science in Nursing at Texas Woman’s University, Dr. Ndukwe earned her medical degree at Ross University School of Medicine in Dominica, West Indies. She completed her residency at San Jacinto Methodist Hospital. Board certified in family medicine, Dr. Ndukwe treats patients for non-life-threatening injuries and illnesses, including allergic reactions, minor fractures and more. She is also fluent in Ibo. In her spare time, Dr. Ndukwe enjoys spending time with her family, dancing and shopping. Dr. Ndukwe practices at Memorial Hermann Urgent Care Greater Heights.